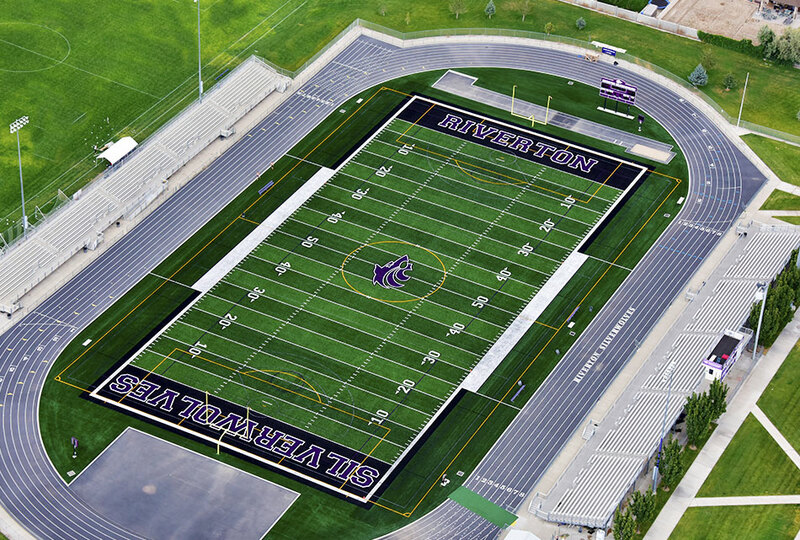 The Riverton High School Synthetic Turf project also included track resurfacing, unlike the other fields in the Jordan School District Football Fields replacements. Hughes self-performed drainage, concrete, earthwork and grading services for the field. The Riverton High School Football Field was completed on time and within budget.